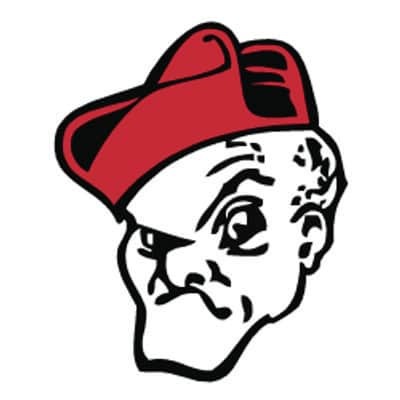 A total of 78 Ohio Wesleyan University student-athletes were named to the North Coast Athletic Conference Academic Honor Roll, it was announced by the NCAC. To be named to the NCAC Academic Honor Roll, one must be at least a sophomore on an active roster in a sport sponsored by the conference and hold a cumulative grade-point average of 3.50 or higher. A total of 665 student-athletes were named to the NCAC Academic Honor Roll. Named to the NCAC Academic Honor Roll were junior Lonnie Barnes (Champaign, Ill./Centennial), senior Colton Bloecher (Lewis Center/Olentangy Orange), senior Colleen Bodee (Flossmoor, Ill./Homewood-Flossmoor), sophomore Chris Brinich (Lakewood), junior Lautaro Cabrera (Buenos Aires, Argentina), senior Calvin Cagney (Indialantic, Fla./Melbourne), sophomore MaryKate Caja (Lakewood/St. Joseph Academy), junior Aaron Caputo (Strongsville), sophomore Jordan Carlson (Delaware/Hayes), sophomore Candace Chanelli (New Fairfield, Conn.), sophomore Jessica Cheadle (Escondido, Calif.), junior Chase Culbertson (Springfield/New Carlisle Tecumseh), junior Justin Dages (Green/Akron St. Vincent-St. Mary), junior Ben Danieli (Setauket, N.Y./Ward Melville), sophomore Forest Dearing (Louisville, Ky./Walden), junior Heather deHaas (Perry), senior Olivia DeMeio (Tallmadge), junior Matt DiCesare (Westerville/St. Francis DeSales), sophomore Taylor Dickson (Baltimore/Liberty Union), sophomore Anne Edwards (Golf, Ill./Glenbrook South), senior Landon Erb (Hilliard/Darby), senior Nick Fowler (Bethesda, Md./Johnson), sophomore Kellie Garvin (Powell/Olentangy Liberty), sophomore Alyssa Giarrusso (Hillsborough, N.J.), junior Jessica Gooden (Lexington), junior Amy Greenwood (Granville), sophomore Jon Griggs (Cincinnati/Indian Hill), junior Meghan Guthrie (New Albany), junior Colleen Hall (Blacklick/Gahanna Lincoln), sophomore Caroline Hamilton (University Heights/Laurel School), junior Max Hara (Osaka, Japan/Senri), senior Maggie Helfrich (Marysville), junior Rhiannon Herbert (Mentor), senior Kevin Herman (Stow/Stow-Munroe Falls), junior Emily Julius (Avon), senior Ryan Kaplan (Alliance/Marlington), senior Alexa Katrinchak (Elyria/Midview), junior Joey Kinsley (Rocky River), junior Claire Lofgren (Kirtland), senior Whitney Lonnemann (Cincinnati/Mariemont), and senior Abbie Love (Bainbridge Island, Wash./Bainbridge). Also, junior Nathan Madonich (San Bruno, Calif./South San Francisco), junior Macie Maisel (Chestertown, Md./Kent County), senior Emma Markey (Indianapolis, Ind./North Central), junior Dara Markus (St. Louis, Mo./Ursuline Academy), sophomore Mallory McCormick (Gahanna/Bishop Hartley), senior Ryan McMahon (Springfield, Va./The Bullis School), sophomore Cat Mechler (Rochester Hills, Mich./Stoney Creek), junior Venessa Menerey (Columbus/Upper Arlington), senior Tommy Minkler (Oakton, Va./Landon School), sophomore Nick Norman (Cincinnati/Oak Hills), sophomore Justin Overhulse (Bowling Green), senior Drew Pang (Dublin/Coffman), junior Cameron Pappa (Gilroy, Calif./Kings Academy), senior John Peranzi (Rehoboth, Mass./Dighton-Rehoboth), senior Joyce Petersen (Avon/St. Joseph Academy), senior Kristie Prendergast (Westlake), senior Lindsay Reed (Dublin/Jerome), sophomore Alyssa Richter (Wabash, Ind./Northfield), junior Sean Roskamp (Chesterfield, Mo./Parkway West), senior Hannah Sampson (Kent/Roosevelt), junior Brian Schaefer (Chatham, N.J.), sophomore Shannon Schlater (Englewood/Northmont), junior Meghan Schulze (Johnstown/Johnstown-Monroe), senior Chris Schwanz (Glenview, Ill./Glenbrook South), junior Sara Scinto (Mentor), junior Haley Sheafor (Cornelius, N.C./NW Visual-Performing Arts), junior Tirion Sheafor (Cornelius, N.C./NW Visual-Performing Arts), senior Sarah Stachowiak (Westlake), sophomore Aaron Strausbaugh (Dublin/Scioto), senior Karli Sturgill (Lagrange/Keystone), sophomore Mason Tomblin (Wooster), sophomore Summer Tompkins (East Falmouth, Mass./Falmouth Academy), junior C.J. Tosino (Hudson), senior Alex Webb (Tipp City/Tippecanoe), senior Caroline Welker (Delaware/Hayes), sophomore Kaillie Winston (Millington, N.J./Watchung Hills), and junior Jake Wright (Delaware/Hayes).